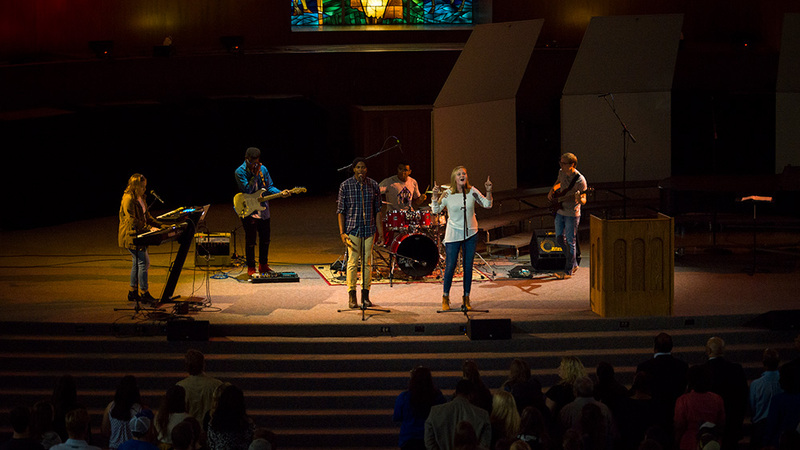 Chapel is a time for you to come and worship with your fellow students, faculty and staff every Wednesday at 10am. Additional chapels, such as Class chapel, GO Week chapel, Bison Way chapel and others are held throughout the year on select Mondays and Fridays. CONNECT Chapel is a student ministry chapel program that recaps, encourages and celebrates Connect Groups and student ministry initiatives in a celebratory atmosphere. These chapels are held every other Friday at 10am throughout the semester. Canterbury is an off campus time of worship and fellowship that meets every other Thursday in downtown Shawnee. Canterbury incorporates the creative arts in each meeting and seeks to reach the community of Shawnee and show them Christ's love through relationships and service projects. Events like Un Cuerpo, Focus Week, Worship Concerts and other similar events are planned throughout the year to highlight a lifestyle of worship.